Choose from 590 boats in Turkey. Thinking about going sailing in Turkey? It would be one of the best decisions you ever made. Boat holidays in Turkey are becoming increasingly popular and the Turkish Riviera is gaining a lot of popularity, for good reason. You will experience the rich and historical culture, incredible views and panoramas, some of the best food in the world, and a very relaxed vibe that should make renting a boat in Turkey the next item on your bucket list. Luckily, as Zizoo, the leading boat rental service online, we have many boats for you to choose from! Turkey enjoys the benefits of a nice Mediterranean climate with warm springs and long, bright summers. This makes Turkey an ideal place to rent a boat from April to late October. Spring in Turkey is full of magnificent scenery with lush vegetation and rich, vibrant colors. The starts to be pleasantly warm in April, while May is more suitable for swimming with warmer waters. Autumn brings more mild weather, warm but not hot, making it great to visit all the seaside destinations during your boat holiday in Turkey because it will be less crowded. Boat Hires in Bodrum: Also known as the “St. Tropez of Turkey”, finding a yacht charter in Bodrum gives you access to this vibrant city and center for arts and culture located on the south-western tip of Turkey. This beautiful and ancient city has a lot to discover including one of the Seven Wonders of the World, the Mausoleum at Halicarnassus. Charter a yacht in Bodrum between June and September to enjoy pleasant temperatures in the mid-to-high 20s. Boat Hires in Fethiye: You will find some of the best waters to sail Turkey when you charter a yacht in Fethiye. It is perfectly located for you to explore the surrounding islands and coastal cities. You can discover ancient ruins, relax on some lovely beaches, and see some spectacular views of the Turkish Riviera making a truly incredible sailing holiday in Turkey. Boat Hires in Göcek: Say it with me, the “Turquoise Coast” - and remember it because this is the place to be when sailing in Turkey. This is definitely the country’s best area for cruising and nestled on the coast facing the Mediterranean lies port town of Göcek. A yacht charter in Göcek will also make it easy to reach other popular destinations like Bodrum and the beautiful Aegean Islands. Boat Hires in Marmaris: As popular seaside resort on the Turkish Riviera, yacht charters in Marmaris are high quality with accommodating marinas. Here you can enjoy cruising through crystal clear waters while being able to make a stop to visit some of Turkey’s most impressive historic sites. 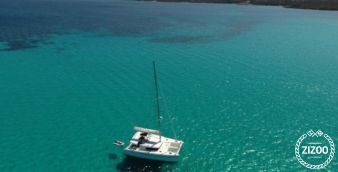 Boat Hires in Orhaniye: The beautiful bay of Orhaniye has some spectacular views and make it an ideal place for a yacht rental in Orhaniye, in Turkey and to begin an unforgettable sailing holiday. Sailing here offers the ultimate escape - a peaceful haven a bit away from the busier summer sailing destinations. Sailboat hires in Turkey allow you to take advantage of the island’s constant winds and cruise in some of the best waters. Turkey sailboat rentals also make a great option for budget-friendly holidays. Some of our most popular brands of sailboats include Jeanneau, Bavaria, and Dufour. If you are looking for luxury, we recommend chartering a catamaran in Turkey. These spacious and accommodating catamarans give you lots of room to entertain and relax with plenty of places for you to chill or sunbath. Of course, a real show-stopper would be to hire a motorboat in Turkey. As one of the Mediterranean’s most intriguing destinations, renting a motorboat in Turkey would let you enjoy everything this place has to offer with style and speed. For the ultimate boat holiday in Turkey, book a luxury yacht with Zizoo. Our fleet of crewed luxury yachts in Turkey includes some of the world’s top motorboat and catamaran models. You can arrive in Turkey with style and have a truly unforgettable sailing holiday. Live life with a little glamour and find the perfect luxury yacht for your sailing holiday. Witness the Aegean and Mediterranean seas merging between Fethiye and Samanlik Bay. Stop off at secluded swimming spots and secretive coves. Marvel at the numerous species of butterflies at the famous Butterfly Valley. Take a refreshing dip in the turquoise blue lagoon of Oludeniz. Anchor at St. Nicolas Island to explore the Byzantine ruins. Dock at the quaint fishing village of Simena and take a tour of its central Byzantine castle. Visit the colorful coastal town of Kalkan. Stroll down the cobblestone streets and through groves of bougainvillea. From Kalkan, take an excursion to the Saklikent National Park and some natural beauty. Swim in the warm, pristine waters of the pine-clad cove known as Tarzan Bay. Book your spring or summer yacht charter in Turkey today! Turkey is increasingly becoming recognized as a spectacular sailing destination. With turquoise waters and so many wonderful coastal towns and sites, Turkey is a paradise for sailors. Plus, the beautiful Aegean Islands are packed with glamorous hotspots and idyllic beaches making it a destination where you can really get away from it all. Whether you prefer a bareboat rental or desire a crewed yacht charter, Zizoo has the perfect boat for your holiday. Contact our team of boat holiday experts or book your boat or yacht charter instantly online.